Skirted by two steep ridges, the Dachigam Wildlife Sanctuary presents a diorama which is a complete feast for all your senses. 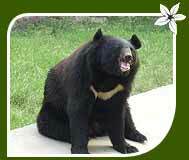 Dachigam wildlife sanctuary remains segregated into Lower Dachigam and Upper Dachigam. The landscape of the Dachigam wildlife sanctuary is as diverse as its pristine flora and fauna. Resembling the red deer of Europe, hangul or the Kashmiri stag is the cynosure of all eyes here. Besides this highly endangered species, Dachigam wildlife sanctuary harbours a number of other exotic species that invite visitors year after year. Srinagar, the capital city of the state of Jammu and Kashmir is just 22 km from the national park. Dachigam wildlife sanctuary is known for its topographical variety. Deep ravines, outcroppings, forested slopes and alpine pastures make up for a suiting habitat for the species that call the Dachigam Wildlife Sanctuary home. The Dachigam River, which meanders through the Lower Dachigam, adds much to the wild beauty of the park. The highly endangered hangul or the Kashmiri stag is the biggest draw for wildlife lovers visiting here. These exotic species of stags can be spotted in the lower valleys during winters. The sight of a hangul can instantly remind you of the red deer of Europe, the white rump patch and the impressive intertwined antlers. 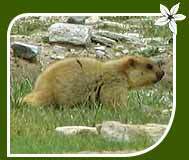 There are other animal species to be spotted including the Himalayan black bear, wild goat, leopard, musk deer, ibis and Himalayan marmot among others. 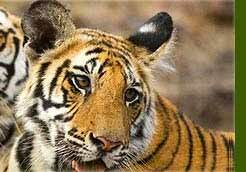 The residents of the Dachigam Wildlife Sanctuary also include numerous bird species. Crimson tapogan, blood pheasant, golden eagle and bearded vultures are among the common sightings. Take a nature walk into the wilds of the national park and explore the pristine flora. As Srinagar is a mere 22 km from here, you can easily get to the city and feast your eyes upon the sights that the city offers. For those who are visiting the Upper Dachigam, May to August is the best time, where September to December is ideal for making a trip to the Lower Dachigam. Trekking is a wonderful option in the upper reaches of the Dachigam Valley. So, be ready to soak up the wonderful panorama that awaits you here. Srinagar Airport, 22 km away, serves as the closest airport from the Dachigam Wildife Sanctuary. The airport has frequent flights to important destinations like Delhi and Mumbai. Jammu, which is 200 km from here, is the nearest railhead, connecting to all the key destinations of the country. A good number of metalled roads connect the national park with Srinagar. 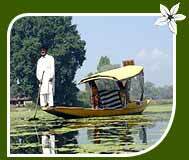 Regular tourist taxis and buses are available from Srinagar to get to the national park. There are not too many jungle resorts inside Dachigam wildlife sanctuary. 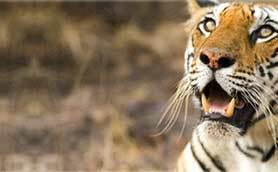 However, travellers can choose to stay in the forest rest houses and tourist lodges that are run by the forest department.